Guys are friendly and knowledgeable. They were up front with everything, and the quoted me an accurate price. I will most likely go back. The guys here do great work and keep you informed on what's going on. Honest work and very affordable prices. I would recommend this place to anyone. 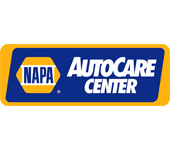 This is our go-to for any car service; oil change or exhaust work. The pricing is really good and they do a fast and great job! I trust this repair shop. Everytime I've left this place my cars have been solid, and I didn't feel overcharged. They are honest and have a lot of integrity. Take your car there, and you won't be disappointed. I have two older cars, and when I leave Autoworks my cars run pristine. Thank you for service Autoworks. I would highly recommend Autoworks. Took my Jeep to several well-known dealerships and decided to go to Autoworks for a final comparison estimate. The customer service was spot on, and the mechanics were very knowledgeable, and they saved me over a thousand dollars on unnecessary repairs that the other guys said I needed. Jeep is running like new now. Great service and great prices! They took my vehicle in on short notice and had it back working the next business day. Great shop. All the guys are very knowledgeable about cars and trucks!! They are very friendly and courteous!! Would recommend this shop to all who have any AUTOMOTIVE Needs!! Very friendly and honest guys. We have a new family repair shop. Recently had an oil change and a repair done on my car. The oil change was done in an hour, and the repair took a few hours. Overall I was satisfied with the job that the mechanics did. They were upfront and honest about the pricing and thoroughly explained the problem with the vehicle. Definitely would recommend to a friend. I've been using this place for years for everything from oil changes and alignment to brakes and proportion valves. This place is wonderful as the staff are honest, friendly and super helpful. They have some of the lowest prices in the Denver metro area and some of the quickest turnaround as well! Personally, I travel 40 miles round trip because they have earned my business. Also, they have U-Haul rentals and propane exchanges. It's practically a one stop shop! But, don't take my word for it, check it out for yourself! Really honest and knowledgeable guys here! I never feel like I'm being ripped off because I'm a woman who truthfully doesn't know much about cars. They do great work, they are honest and prices are good compared to a dealer's. I've always gotten good service here at good prices. I have been bringing vehicles here for a couple years now. Always the best prices and honest work. Friendly staff and upfront if they find something you weren't expecting, best of all no pressure. I've moved farther away since I first came here but that doesn't matter, it's well worth the drive. Side note - good location, food and coffee next door while you wait. I've brought my car here for over 5 years and will not take it any place else. I can go into Autoworks and be greeted by a friendly face every time I go in. They have never tried to overcharge me and have saved me serval times from not having a vehicle. These guys are the most honest men I have met. Thank you Autoworks for all of your help throughout the years!! Experienced the quickest oil change. Would definitely recommend this place for future maintenance!!! I always bring my car here for any car issues I have. I always shopped around, and these guys are always giving me the best price. They always deliver and take care of my car problem. I really trust these guys, and I feel they are always 100% honest with me. I don't feel like they are trying to rip me off like other mechanics. Took my Dodge Nitro in to these guys and found out my heads were warped. They got them remolded quickly and were able to explain everything to me in a respectful manner (I am not really a car guy), so that I knew what was going on. All the guys that work in there were awesome, and the price was fair. They will continue to get my business. I called around to half a dozen auto shops on Monday morning, and they all said it would be four or five days before they could get to my brake job. The guys from Autoworks said that if I brought it in that day, they'd get to it first thing in the morning, and the job was totally done before lunch on Tuesday. They offer a military discount, and they called me before they did any maintenance with expectations and price quotes and answered all my questions before doing the job. I've found my mechanic, if i ever need one, and that's a great feeling. Only good things to say about my first time visit. Needed a timing belt and water pump replacement. They got me in their schedule quickly, had good communication with good pricing. I will be back. Totally would recommend! I opted to wait two hours for an oil change & went to a brewery across the road. Amazingly, it only took them a bit over an hour rather than the two they quoted me. Oil is clean, customer service was worthy, and for $20 on up to 5 quarts of regular oil, that's a steal! Took my Jeep Grand Cherokee to Autoworks because I needed a second opinion. Nick was very helpful and was able to get me in right away. My mechanic was very transparent and didn't mind explaining the repairs to me. If you don't know much about your car and are looking for a place to repair and explain the repairs in an easy way, then I'd recommend Autoworks. The service was absolutely excellent, especially for how busy they were. Took care of all my needs in a timely fashion, and with genuine care, taking the time to explain what was wrong and what needed to be fixed (as well as why). They went far further above and beyond than any other auto shop I've ever been to. They also didn't try to sell me things/services that I didn't need. I will definitely be bringing my vehicles back here when needed. I'd highly recommend them to everyone! Took my car to these guys a few weeks ago, and they were great. Very nice, professional, efficient and caring. Took my car into a bay right away. Decent prices. Told my dad to take his car there a few days ago, and they did a great job on his car too for a great price as well. Highly recommended! I took my 11 year old SUV with a bad rattle in yesterday. Within one hour they called informing me of the issue, quoting a price and length of repair. Very nice, professional and though my vehicle had to spend the night, the quote did not waver. They are my mechanics. I recommend Autoworks very highly. Wonderful customer service. Talked and showed my dad everything that was done. Great price, half the cost of the chains in the area. No BS up selling, just straight forward care. Honest and polite mechanics who truly know their stuff and overall great service. Keep up the good work guys! I was headed from Virginia to Washington State for my job and got caught up in the snow storm there in Colorado. The next morning (snow storm still going on), started the truck up and found out my trailer clearance lights weren't working. I franticly searched for a shop close by to get them fixed and back on the road. Most businesses were closed, but these guys were open, and after explaining my problem to them, they got someone to take a look at it immediately. Turned out I'd torn out part of my wiring harness for the trailer while driving through the storm, but they got it fixed within the hour. Guys, I appreciate your help and the solid work you do. You have a good bunch of mechanics/technicians, and you know what you are doing. Most shops don't. I would not hesitate to recommend your shop based on my experience. Thanks for your help. Great customer service. Always friendly, knowledgeable, and honest. They always accommodate in a timely manner and have beyond reasonable prices. I don't know, I feel like I've won the lottery when I can say I found a mechanic who is honest, doesn't nickle & dime ya and seems to care that you're safe on the road. The guys here at Autoworks have been so good to me - letting me know when I need something and telling me flat out when I don't. If you live in this area, Autoworks should be your auto shop. Kind of hard to find, set back on the south side of Iliff just west of Buckley. 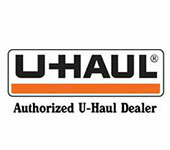 You can also rent U-Hauls from them if you need help with a move. Excellent service! Super fast and friendly. I definitely will be returning to them. I would recommend them to everyone. The prices are excellent! I called and spoke to Nick who was very friendly. He said to just call 30 minutes prior to coming in for the oil change and he would get me in. I arrived and they got me in and out of there in 20 minutes! The gentleman that did the actual oil change was extremely friendly and kind as well! Love these guys! Keep up the good work! I have used Autoworks three times now, and they are excellent. It is nice to find an honest, competent mechanic. I would highly recommend this shop and these guys. EXCELLENT! They're nice, efficient and remember us after only having been there a couple times. No complaints whatsoever. I called the guys at Autoworks for a new set of brake pads. It sounded like one was bad so figured I'd do them all. Within 24 hrs I was walking out for $90, no new pads necessary, terrible brake sound gone and brake parts lubricated. I could have been taken for 3 or 4 times as much. It has a repair shop feel, not like walking in and out of the dealership, and that may turn some off, but we'll take our business here for sure. Great customer care. These guys were very honorable and helped me out in a big way. After my warranty company refused to pay for anything that was wrong with my '08 Jetta, I was able to work out a solid plan of action on which parts I need fixed and which can wait. The upfront honesty and knowledge Nick had, definitely refreshed my expectations in auto care. These guys do the job, and they do it right. First car shop experience. They took great care of me as a customer and of course of the car. All of that in a timely manner. They were real gentlemen. I will go there from now on, and I certainly recommend it! Thank you guys. This place has worked its magic again. Eliminating a noisy lifter issue and bringing my '07 Escalade (141k) back to performing as good as it looks. Thank you, again, Autoworks. I cannot say enough good things about this shop. Fast service, honest and efficient. Today I went there to replace my worn out brake light/bulbs. They did it for free as a courtesy (purchased my own bulbs), as I went to them in the past. This will be my go to place for my car repairs!! Expected results, if not better and faster, every time. I have sent over several friends to these guys, because they are fair & just AWESOME!! Fair pricing and great work. My family has been bringing their vehicles here for years. Would totally recommend giving them a try! Went in for a turn signal switch. They didn't charge me to take a look at it, and they charged me less than other quotes! They were fast and honest. I hate going to a mechanic, but they seem like a place I will try to go back to in the future. Autoworks is awesome and honest, and they don't take advantage of someone who doesn't understand much about cars. I took my old car in, and they were honest about a part that broke. I recently brought a car I was considering buying in to them to check it out. They didn't charge me, because it didn't take long to look at the car. I definitely recommend Autoworks. They're all very nice, honest and trustworthy. And they have very convenient hours! This place is amazing! Not only were they fast, they were efficient and friendly. Would absolutely recommend them!! Thank You Autoworks!!! I brought my 2008 Impala into Autoworks after it stalled on the freeway. I'm new to Aurora and took a chance on a new repair shop. and it paid off huge! I got in and out quickly, the customer service was amazing, and it cost hundreds less than I expected. Glad I found you Autoworks, I will be back! 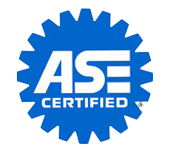 I called Autoworks when I was having issues with the starter of my Honda Element. They quoted me, and I brought my car in later that week. They fixed it, and the final price was what they had quoted me. The guy behind the counter and the mechanic that had worked on my car were both friendly, honest and professional. I'll definitely use Autoworks again. These guys are great. They found out the problem to my car quickly and got me in right away. Fixed the car efficiently and were totally polite and easy to work with. They were very reasonable in price and were willing to work with me. :) They even fixed the my key chain. Its little things like that which truly make a great establishment. I would recommend these guys to anyone. Thank you for being wonderful. Fast service, great prices and very honest! Open on Saturday and Sunday morning. It can be hard to find the right mechanic, the mechanic you can trust. I am so relieved that I found them. Highly recommended!!!. So nice and honest!! My car died and left us on the side of the road on a Saturday. We were in unfamiliar territory and had to take our chances with these guys. They were happy to take a look at it, and even though it was a busy Saturday afternoon, I had an answer within an hour. It turns out it was a special computer issue that only a dealer can fix. They actually apologized for not being able to help! Also, they were happy to keep my car until Monday when my insurance can arrange a tow to the dealership. It was such a relief to know my car could stay there until I could get things sorted. If you want honesty and courtesy, please come here! Found our new local auto repair place. Great staff and great service. The van was in need of repair, and I found this place on Yelp. Was very glad that I did. Great service. Went in to have an oil leak looked at, $95 later back on the road. Fast and honest. I just brought my car in this morning, because it was overheating. After looking at my car and thoroughly diagnosing the issue, the technician clearly and patiently explained what was wrong and suggested a light-handed course of action. While I was in the waiting room, I heard him speaking with another customer, and he was equally friendly, patient and informative. I felt as though he was highly skilled and trust-worthy, and I'm really pleased with how things worked out. I came in to Autoworks with a vague, off and on, engine issue, and Nick was super helpful in getting to the root of the problem. He and his team took their time to go through each possible issue it could be and kept me informed through the entire process. In the end, he was able to figure out the problem and send me on my way with a much smaller bill than I had initially thought I would have! 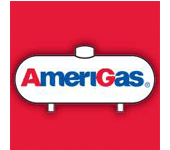 The entire team has great customer service and is very friendly. I would absolutely recommend going to Autoworks for any car needs! Thanks, Nick! Went here for tier 1 maintenance (which Nick told me they had a coupon for) and to fix my alignment. It was originally scheduled for the dealership at about $250, but here for the same exact thing ended up costing $70. Great customer service and really nice guys. Will return again, for any car needs :) Plus they offer a military discount. Have had two perfect experiences here with both my car and my husband's car. We both needed our brakes done. I needed both front and rear, and he needed just the front. He also needed an oil sensor replaced. Both times we dropped our car off early, and it was ready by early afternoon as promised. Both times we weren't upsold (which is so often the case with brake jobs), and the prices were very reasonable. We did my car first, and then his about a week later. I will definitely take my car back to them the next time it needs work. What a refreshing experience compared to either the sticker shock or inconsistencies I've dealt with at other places in the past.